November IWSG Hello everyone and thanks for stopping by and saying hello! 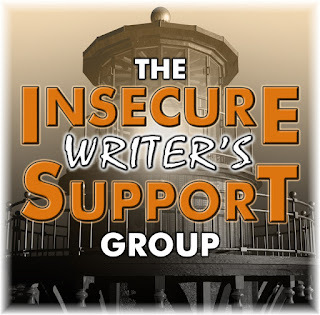 This month’s Insecure Writers Support Group is brought to you by the our host Alex Cavanaugh and his incredible co-hosts Joylene Nowell Butler, Jen Chandler, Mary Aalgaard, Lisa-Buie Collard, Tamara Narayan, Tyrean Martinson and Christine Raines. NaNoWriMo Let’s get right down to it. 30 days. 50,00 words. Fueled by coffee and wine. Sleep is a luxury. 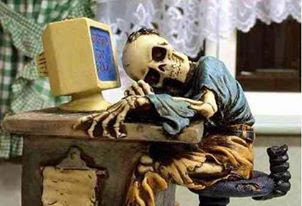 I had to go back to work full time and this will be a hinderance to achieving 50,000 words. But I can do it. Twice I had achieved 25,000 words and if I hit this milestone a third time I will be very much happy. But I’m all in. Insecurity ... What Insecurity All I need to do is average 5.5 pages a day. No research. No editing. No wasting time on wasting time. It’s writing a 50,000 word draft Balls to the Wall all out blitz and just write without regard to anything other than putting 50,000 words to a Word doc. That’s all. In December I can go back and clean things up, put chapters in proper order, research and edit. But for November beauty is in the number of words produced and nothing else. Question Are you participating in NaNoWriMo? Why or why not? Best wishes if you are!